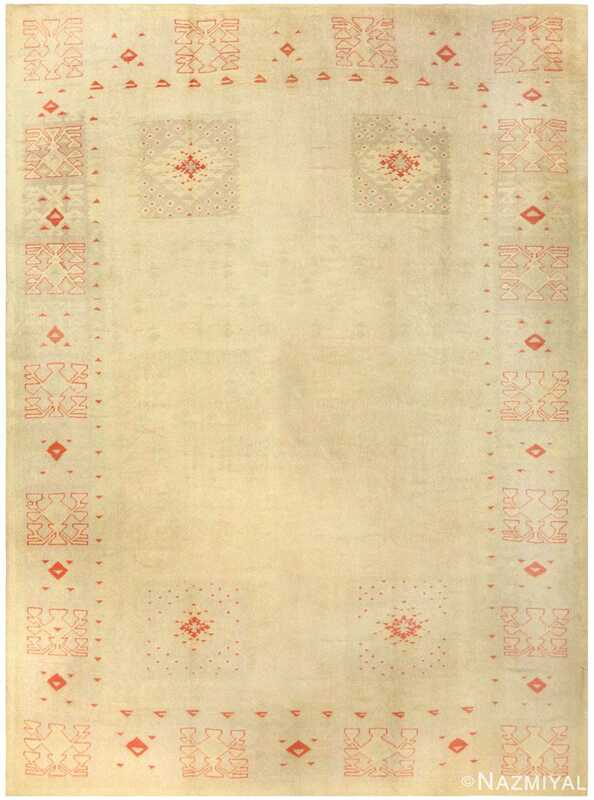 Beautifully Artistic Antique English Art Deco Design Wilton Rug, Country Of Origin / Rug Type: Antique English Rug, Circa Date: 1920’s – The antique English Wilton carpets are known for their velvety pile, rich colors and beautifully rendered design patterns. 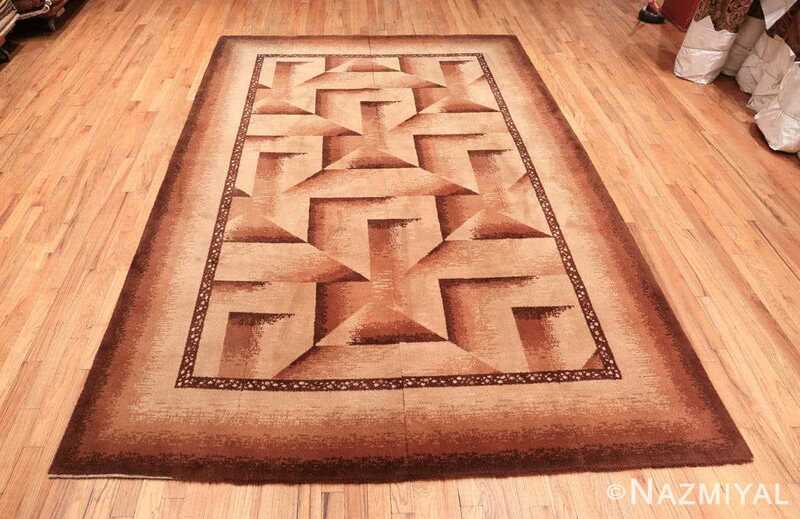 This geometric design is a classic from the 1920’s and is an excellent example of the beauty of Art Deco rugs. 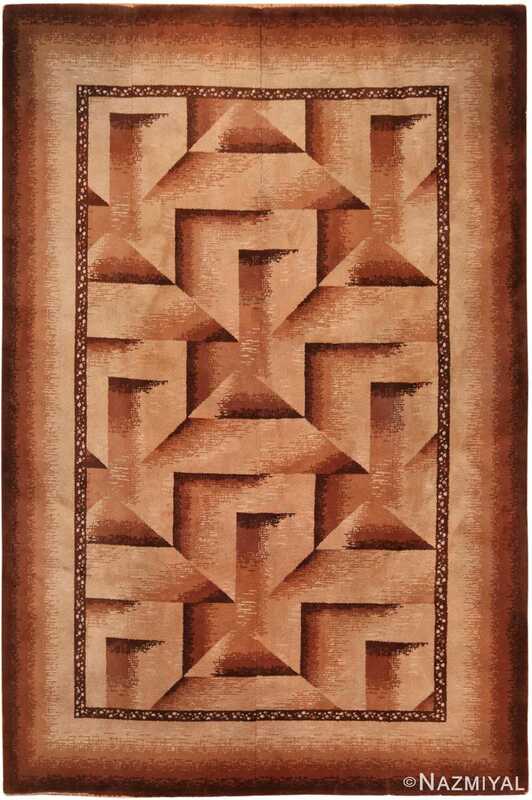 This exciting antique English rug was artfully woven using shades of earthy browns in a way that creates a three-dimensional effect. 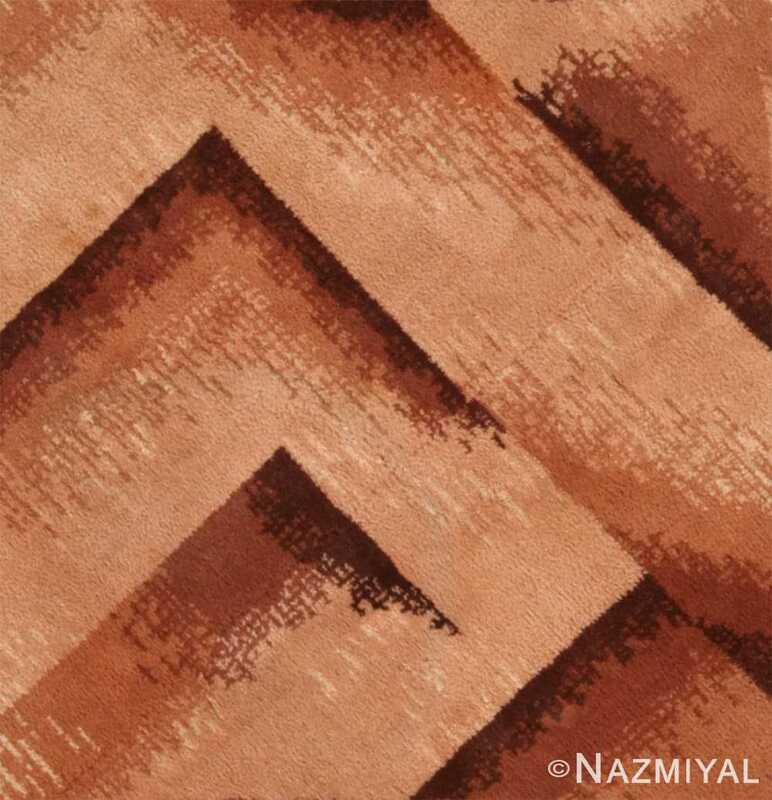 The rug colors are blended using a crosshatching technique that allows the tones to fade from darkest to lightest. 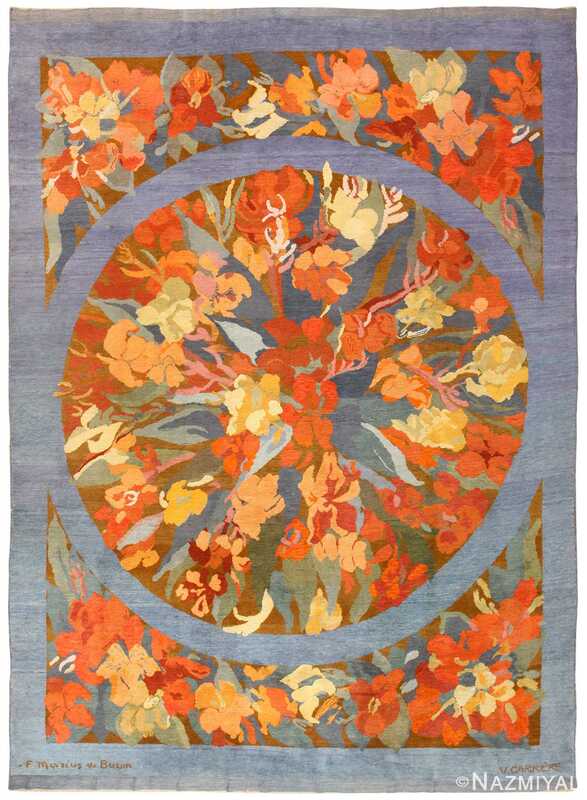 That gives this England made rug an almost watercolor effect. 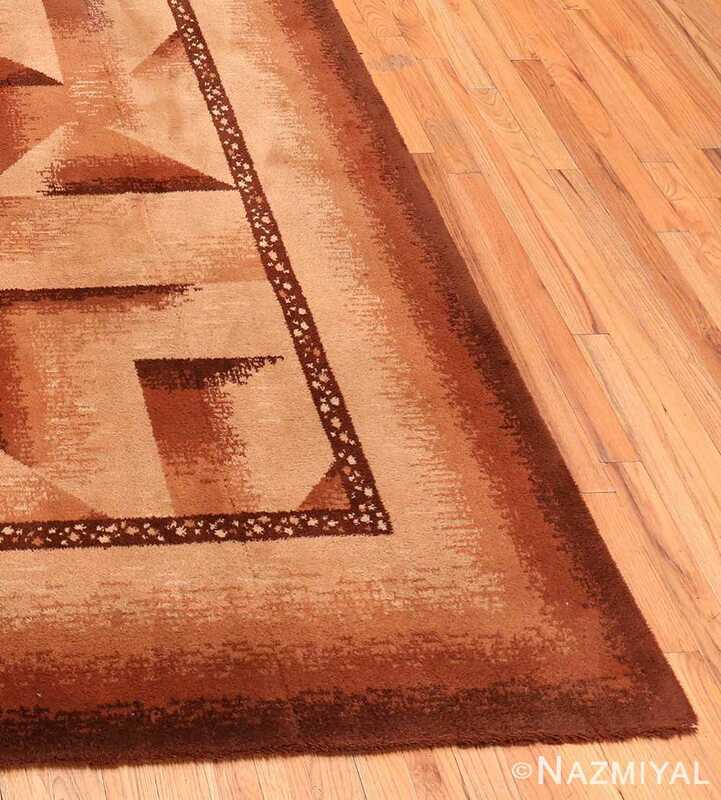 This masterfully designed Art Deco design Wilton rug is designed in a way that gives it the impression that one is looking into a beveled mirror, as were often used in other art mediums. The pattern within the larger diamond shapes repeats throughout, enhancing the effect that one is looking into a mirror. 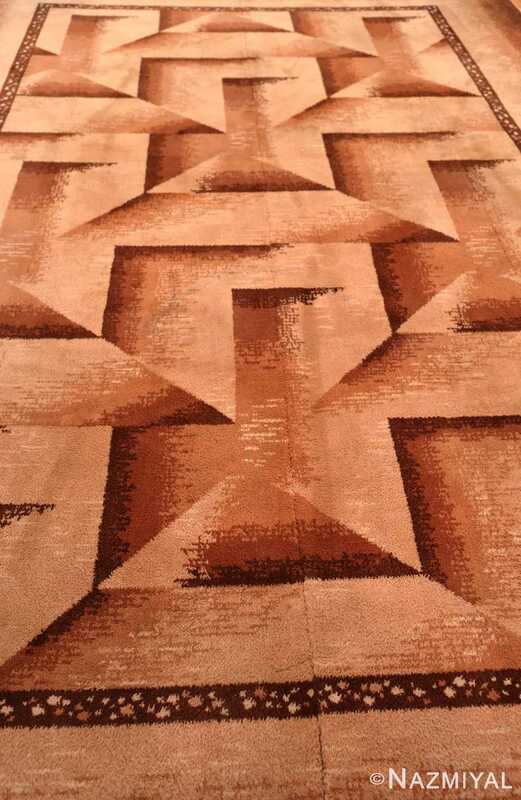 This technique reflects the mastery and skill of the designers. One of the characteristics of antique Wilton carpets is that they were produced on standard sized weaving looms and then stitched together. 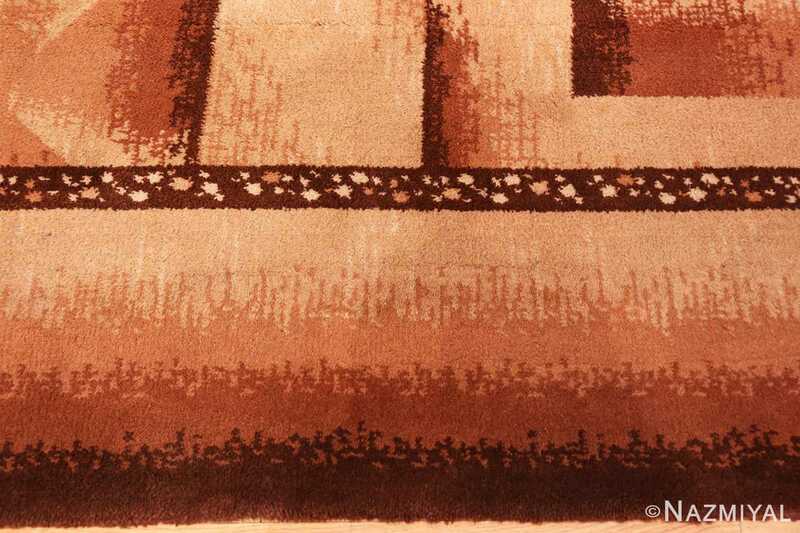 A seam up the middle is one way to determine that it is an authentic English Wilton carpet. 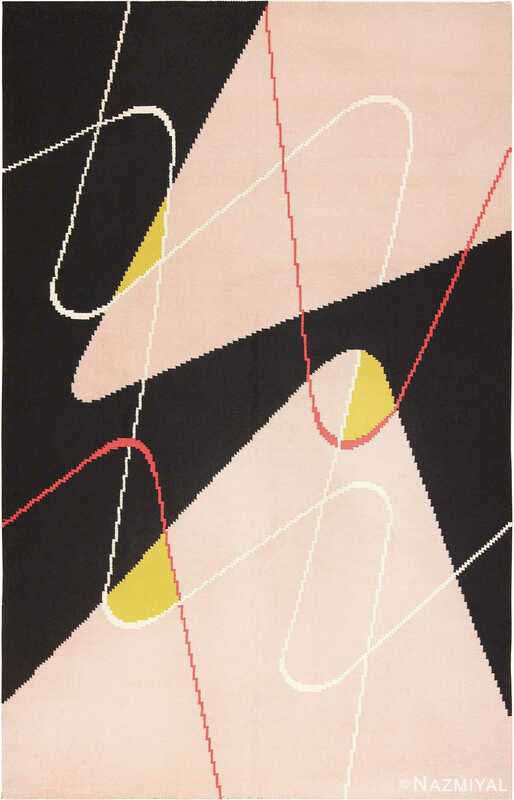 The designs of Wilton carpets changed throughout history, and always reflected the latest designs in the art world. 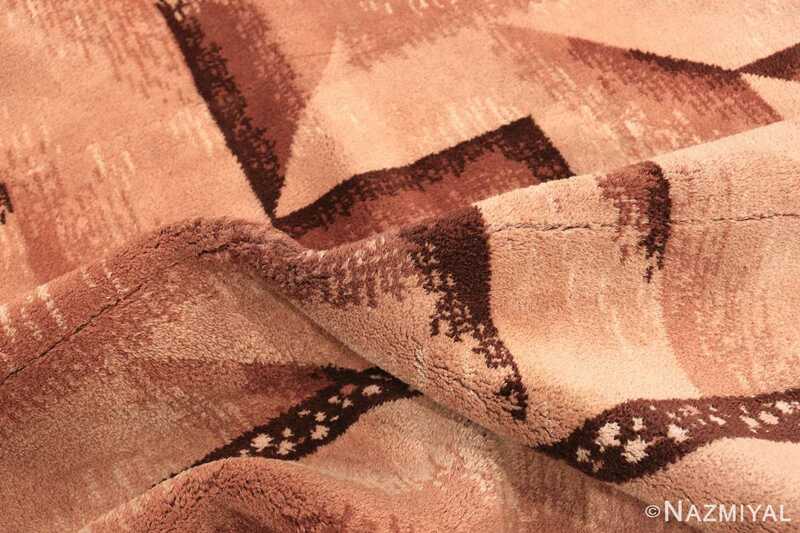 They were known as trendsetters in the world of interior design and remain so today. This classic Art Deco design translates well into contemporary design schemes such as Scandinavian, minimalist, and industrial. 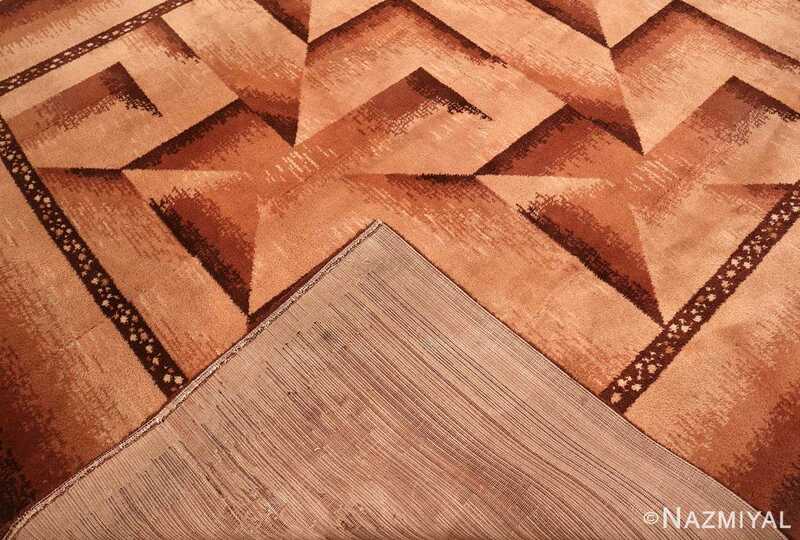 The sharp lines add contrast, yet the color creates an earthy, organic feel. This antique Art Deco design Wilton rug would be a beautiful complement to neutral tones in the same color family. It is a classic antique rug and an essential for an Art Deco collection, or any modern design.